Once you’ve overcome the initial hurdle of seeking medical help for a knee injury, you’re left with pain, suffering, medical bills, and work limitations. Pursuing legal options for compensation is one way to bounce back from an injury that was not 100% your fault. Naturally, money is a big consideration for people debating a lawsuit for their knee injuries. You likely have many questions: Is my knee injury bad enough to result in a winning lawsuit? Will I recover enough money to make it worth the hassle? Can I live comfortably, without working, following a disabling knee injury? 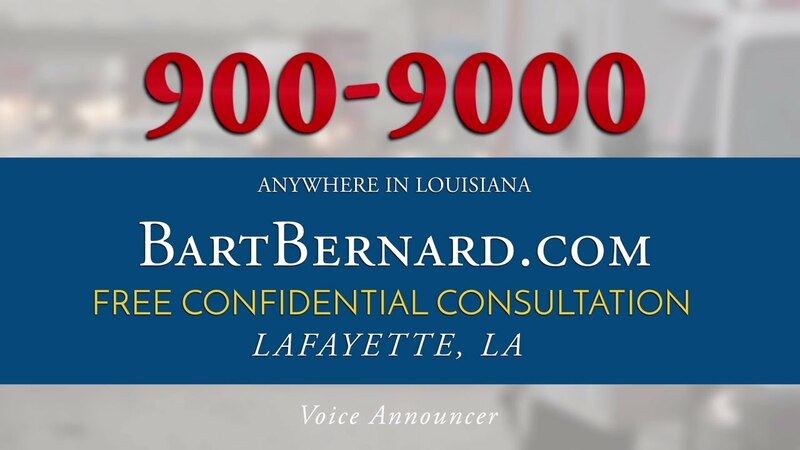 Baton Rouge knee injury lawyer Bart Bernard has the answers for you. Half of knee injury lawsuits arise from car accidents. The other half may be related to trauma, medical malpractice in botched surgeries, slip-and-fall or dog bite premises liability, or workplace accidents. There is no set formula to determine what a knee injury case is worth. The success of a lawsuit depends upon the extent of the injuries suffered and how likely the jury is to find the defendant liable. A common question people have for Louisiana knee injury lawyers is whether to settle or hold out for trial. Settlement offers are the norm, but it takes an experienced attorney to know what your unique case is really worth. Bart Bernard will speak candidly with you about the pros and cons of settling your case, based on the offer, your circumstances, and what sort of outcomes he has seen at trial. Is there a knee injury settlement average? A 10-year Jury Verdict Research study found that the median knee injury verdict was $114,149. In car accident cases, the median payout was $94,406, with most plaintiffs receiving $26,255 – $216,726. The most common scenario is a plaintiff who sustains a fracture of the patella, with torn soft tissue, requiring surgery, and resulting in a good recovery with some future pain or disability possible. These plaintiffs generally fall in the $70,000 to $200,000 range. The average verdict in a “severe” knee injury case that includes knee dislocation, complex fracture, knee replacement, or aggravation of a preexisting condition was $359,149. About 8% of knee injury verdicts exceeded $1 Million. The worst cases that require below-knee amputations or multiple surgeries can fetch much more at trial. A recent case taken on by Bart Bernard resulted in a $926,000 verdict. What is the average settlement for torn meniscus? Meniscus tears are among the most common type of knee injuries. A torn meniscus causes pain, swelling, stiffness, and difficulty fully extending the knee. Most tears do not heal on their own, without intervention. When surgery is required, rehabilitation takes one to three months, depending on the type of surgery needed. Most patients are able to return to their regular activities again after the rehabilitation period, but reported complication rates for meniscal repairs are as high as 30%, leading to persistent pain and dysfunction. What are some knee injury case law decisions at trial? $101,000 – Shawn Shelton slipped on a spill down the dairy aisle at a Pineville, Louisiana Wal-Mart, which caused a knee injury that required two surgeries. The jury found Ms. Shelton 40% responsible for her injuries, but awarded $2,788.84 in past medical expenses and $3,000.00 for past physical pain and suffering. Later, through appeal, her settlement was increased when a judge determined $3,000 was too low to compensate for pain and suffering, and increased this amount to $75,000. $10.7 Million – James Moorman slipped on the floor in a Louisiana Lowe’s and sustained a complex knee injury requiring surgery. It was uncovered that there were known issues with leaky roof components dating back to the building’s initial construction that went unaddressed for years. He was determined to be 1% at fault for his injury and received $5 Million for his suffering, plus $3 Million for his wife’s consortium interest. $43 Million – Seth Becker received a substantial award after losing both legs below the knee in an offshore oil accident. He received over $3 million for past and future lost wages, $11 million for past and future physical pain and suffering, $11 million for mental anguish that includes depression and post-traumatic stress disorder, and $7 million for disfigurement. His lifetime medical expenses were estimated at $10 Million. Need a knee injury attorney in Baton Rouge or Lafayette, Louisiana? In your search for Baton Rouge knee injury lawyers, consider Bart Bernard, a seasoned attorney specializing in this type of case. With more than a decade running his own practice, Bart Bernard has seen it all. His success has earned him prestigious ranking among the Multi-Million Dollar Advocates Forum and Elite Lawyers of America. He works on contingency basis only, so your call will get you a free case review, with no legal fees due until Bart Bernard wins money on your behalf. Don’t wait for the other party to do the right thing. Get your no-obligation assessment today!